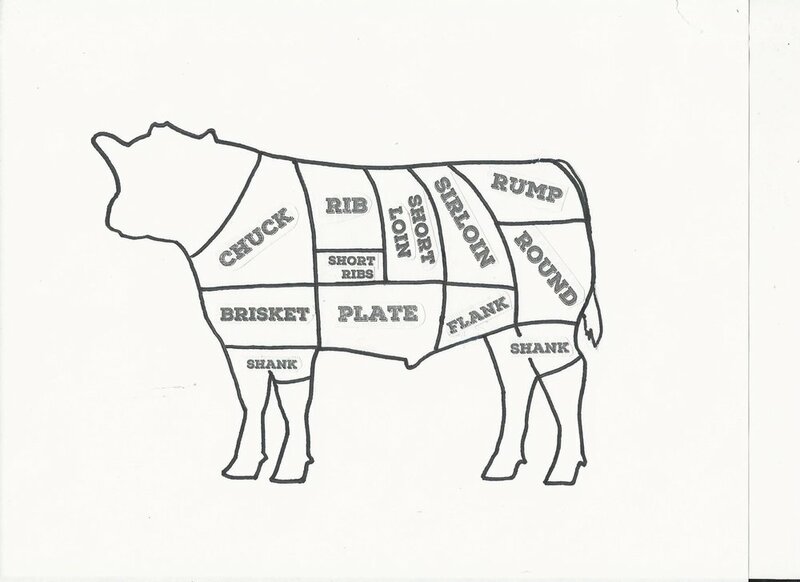 Are you confused about what cuts come from where on a beef? Did you ever think about buying a cut and didn’t because you didn’t know what to do with it? Did you decide not to take the plunge and buy that half or quarter beef because you were too intimidated by having to tell the butcher how to cut it for you? I want to help you alleviate all that frustration. I’m going to create a series of posts that will take the mystery out of this beefy subject and break it down into edible parts. Today I’m going to talk about the sections of a beef. I made this handy chart to give you a visual. When you’re a butcher, this is what you see when you lay eyes on a steer out in the field — yes, lines and all. Half Beef - this is also called a ‘side’ of beef. If you were looking down on the top of the steer, draw an imaginary line down the middle from head to tail. A half is the entire right or left side. Quarter Beef - this is also called a ‘split half’. Using the above view, a quarter is not the front half or back half of a side. A quarter is a side of beef all mixed together and divided in half. So…you get a mix of cuts from the head to the tail (but only half the cuts from a side of beef). I hope that makes sense. Why would I want to buy beef in bulk? There are lots of good reasons! Calling the butcher can be a scary thing when you’ve never done it before. Our butcher is a gem! 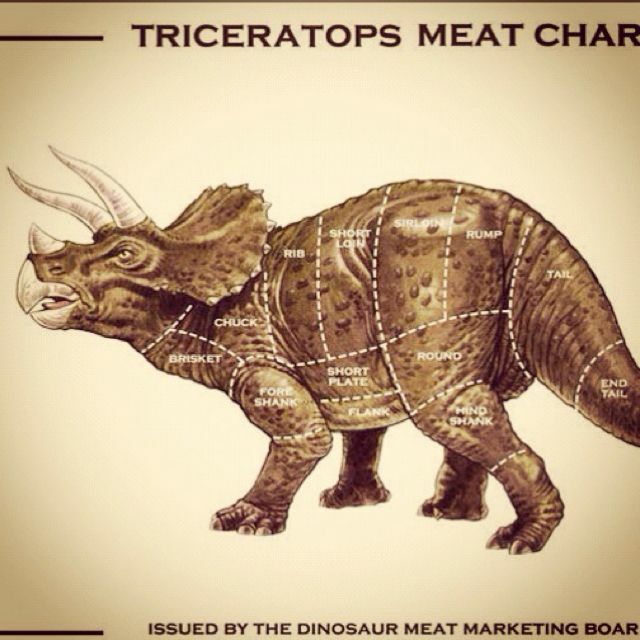 He raises dinosau…..buffalo, so he knows grass-fed meat. He will answer all of your questions. Just tell him you’re a newbie, and he’ll give you extra help. I hope this will help take some of the anxiety out of knowing where all those cuts come from, and buying beef in bulk. Next time, we’ll talk about what cuts come from which spot on the steer. I will add some arrows to the beefy guy in the picture above and tell you what cuts come from what section (and why you should care). Speaking of bulk beef, it’s almost time for our fall processing. You can click HERE to send us an email to let us know you’re interested, and we’ll send you the particulars. Our goal is to eliminate ‘mystery meat’ from our customers’ vocabulary!